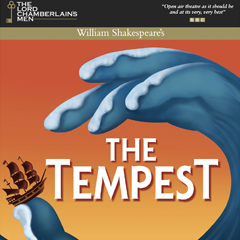 This summer The Lord Chamberlain's Men, in their fourteenth successful year, are touring Shakespeare's spellbinding masterpiece The Tempest - a play of soaring poetry, high comedy and tender love. The Lord Chamberlain's Men, the UK's premier all male theatre company, invite you to join them this summer for Shakespeare's spellbinding masterpiece, The Tempest. "My spirits, as in a dream, are all bound up." 12 years ago, Prospero, Duke of Milan, usurped and exiled by his brother washes up on a distant and mystical island with his baby daughter, Miranda. A place where his magical powers reign supreme and the only inhabitants of the island, the sprite Ariel and brutish Caliban, answer his every command. In this strange new kingdom, he is left to brood. "Be not afeared. The isle is full of noises, Sounds and sweet airs, that give delight and hurt not." Now his enemies, his brother Antonio, who supplanted him as Duke, and Alonso, King of Naples, whilst sailing home are blown, by fortune, off course towards him. Prospero raises a tempestuous storm that shipwrecks them. Scattered across the island the boat's passengers are tested and tormented as they are magically drawn towards their fate. Left to plot his revenge for years Prospero finally has the chance to exact it. But will he? This play of soaring poetry, high comedy and tender love, Shakespeare's late, great gem, examines the power of true love, our capacity for vengeance and what it takes to forgive. 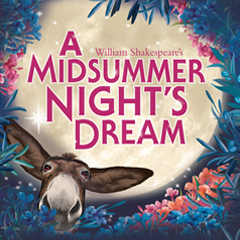 Bring a chair and a picnic, and spend a glorious summer evening watching this enchanting, fast-paced production of one of Shakespeare's finest plays. Performed in the open air, by an all male cast with Elizabethan costumes, music and dance. This is undoubtedly one of the hottest tickets of the summer; book early to avoid missing out!